bottle release of the "Secret Spot" Imperial Stout. 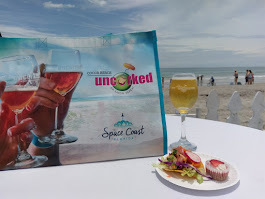 This year's version of the special brew (11% ABV) has been aged in Dominican Republic rum barrels for six months. 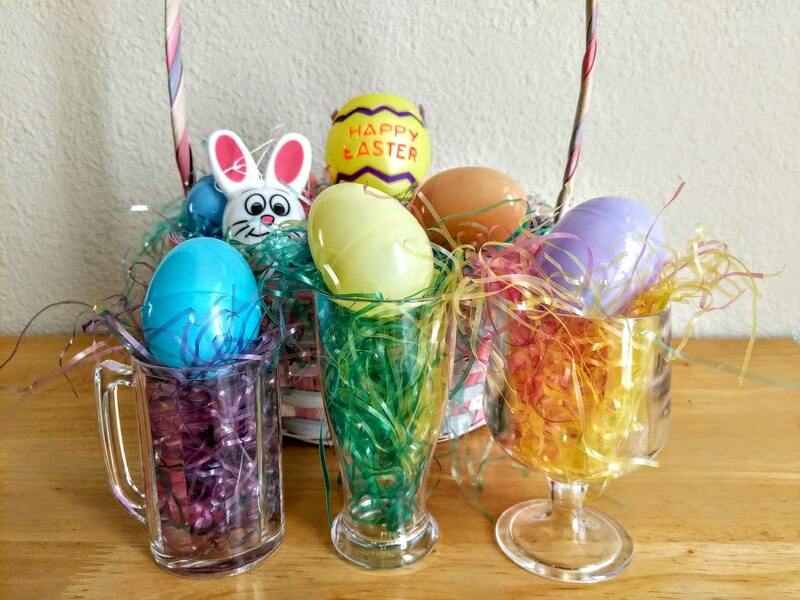 And, as if that weren't enough to tempt your taste buds, the brewery will also have several other treatments of the stout on tap, including variations with coconut, vanilla and coffee. In addition, a small batch of the brew was also aged a second time in Palm Ridge Reserve whisky barrels (the "Double Barrel Secret Spot"). And, while Green Room's anniversary has become synonymous with the Secret Spot stout, that's not all that awaits. The brewery will also release bottles of its 1000th batch, appropriately named "Thousand Beer Storm," a triple IPA with gallberry honey and dry-hopped with Citra hops. 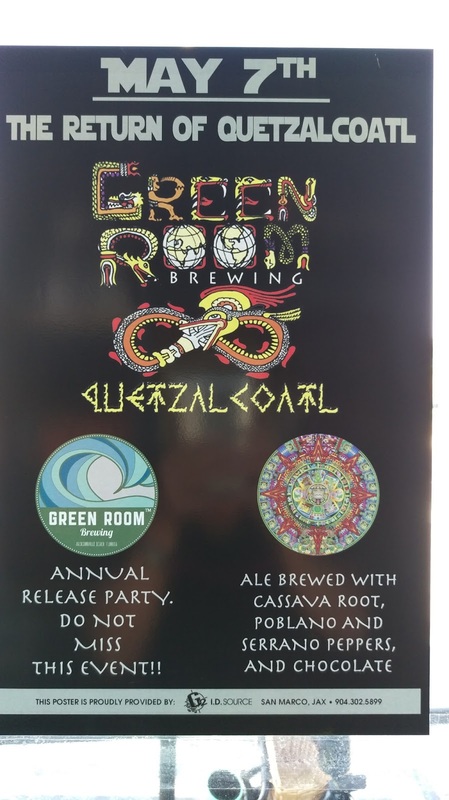 Also on tap will be the Tequila Barrel Quetzalcoatl, Green Room's imperial Mayan red ale (11% ABV) and the Triple Overhead triple IPA (13% ABV). About 600 bottles each of the Secret Spot and Thousand Beer Storm will be available, and Mug Club members get first dibs on it on Friday night. If you're looking to purchase one of these prized bottles, history suggests that you get over to Green Room early on Saturday, because the supply is highly likely to be wiped out quickly. The anniversary party starts at noon, and the food truck Just Doggin' It will be onsite all day. Popular local band Firewater Tent Revival takes the stage Saturday night. Whew, that sounds like a party! Haven't been to Green Room Brewing? 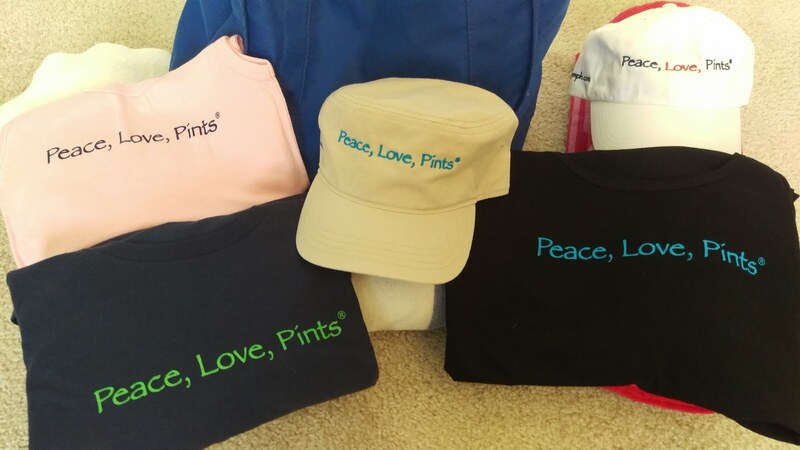 Walk in the front door, and you'll immediately sense the laid-back, chill, surfing vibe. The brewery takes its name from the barrel of the wave that surfers strive to find. And that "Secret Spot" name? 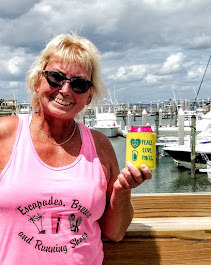 According to co-owner and Director of Brewing Operations, Eric Luman, the name for the annual beer is a reference to one of the most popular local surfing spots, The Poles (well, it might not be so secret any more). Eric runs Green Room Brewing along with co-owner/President and uncle Mark Stillman. 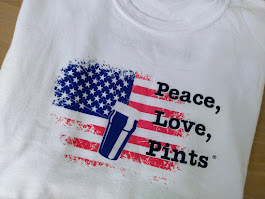 Before they opened the brewery in 2011, each of them had hands-on experience in breweries, with Mark on the business side, and Eric on the brewing side. The tap room features a front bar area with a seated bar and tables and chairs, along with a music stage and foosball table. The seven barrel brewhouse is housed in the back part of the brewery, along with a ping-pong table, giant Jenga, a few picnic tables and a large projection screen TV. The brewery is currently undergoing expansion to increase capacity. The building sits right on the highly-travelled Third St. (A1A) in the heart of Jax Beach, just a short walk from the beach. 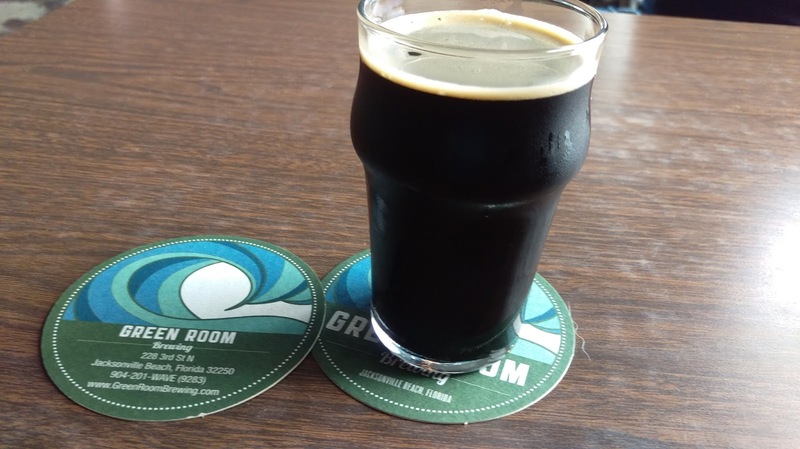 Green Room Brewing offers 16 taps, including seven permanent house beers and nine rotating house beers, with a new beer release on Thursdays. 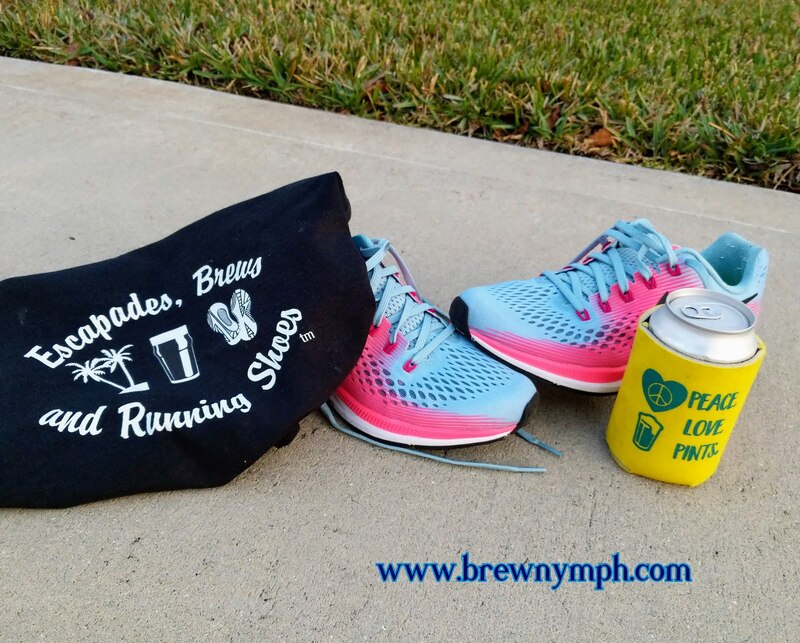 The "core" beers you'll find are: Head High IPA, Pablo Beach Pale Ale, Diamond Wit, Double Overhead Double IPA, Shaka Oatmeal Stout, Count Shak-u-La Chocolate Oatmeal Stout, and Undertow Barleywine. Some rotating favorites include: Thin Mint Chocolate Oatmeal Stout with Mint and Count PNut Chocolate Oatmeal Stout with Peanut. The tap list at Green Room Brewing is always intriguing with a high level of creativity in the ingredients and flavor combinations that the brewers use. Currently, Green Room offers Beets by IPA, a bright red IPA made with beets (I actually found it a bit sweet); a Chicory Stout; and the recently re-released Cafe Blonde, a golden ale with local coffee. Last year, the brewery tapped a Loquat Ale made with, yes, you guessed it, locally-grown loquats. Or, how about the holiday beer "Holladay," with spruce tips that tasted like a holiday tree (if you could drink one). A Szechuan Peppercorn Saison? You just never know what you'll find on the rotating tap list. Eric creates most of the beer recipes with input from the brewery team. When asked about some of the unique brews, although Eric says that "there's not much trial and error," he also points out that with a small system, the beauty is that "everything is a pilot batch, and we can try new things with only minimal risk." 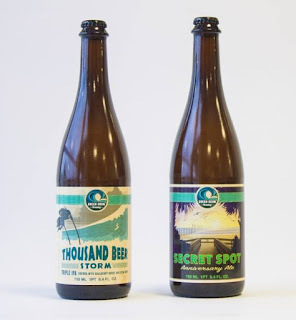 The Secret Spot anniversary beer isn't Green Room's only annual release. 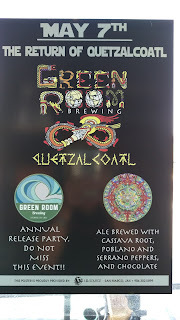 Each December since 2012, the brewery holds another party for its Quetzalcoatl Imperial Mayan Red Ale, made with cassava root, poblano and serrano peppers and chocolate. And, this past May, the brewers went one further, with "The Return of Quetzalcoatl," which featured the brew aged in tequila barrels. 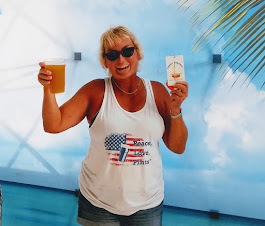 That release party also included a separate brewery bar taplist with the Quetzalcoatl in Horchata, Java, Mango & Cocoa, Datil & Lime and Lime Salt Brett treatments (no, I don't make this up). And, heads up if you're looking to catch this weekend's anniversary bottle release --- the May bottle release on Saturday sold out in about an hour and a half. 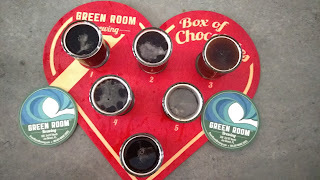 And, don't forget Green Room's annual tribute to Valentine's Day, with its Box of Chocolates stouts on a heart-shaped tasting platter. I had almost too good of a time in the tap room this time around. 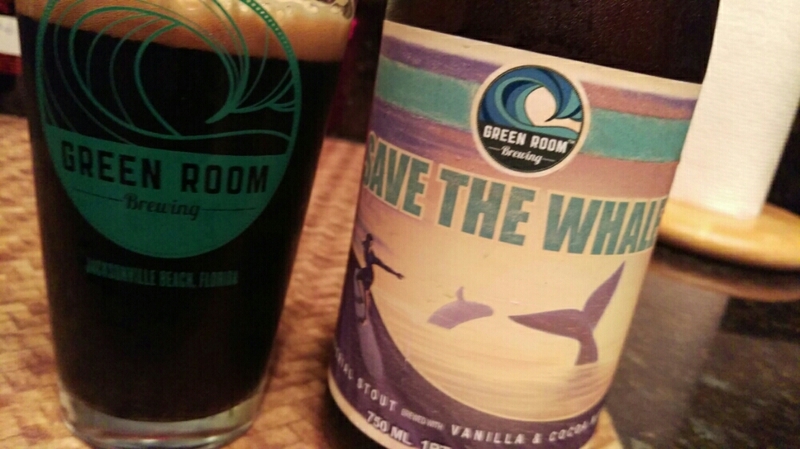 Green Room Brewing is located at 228 - 3rd St. North in Jacksonville Beach. Join the ping-pong tournament on Tuesday nights or the run club on Wednesday nights. 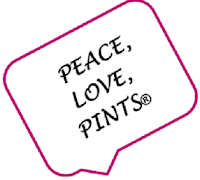 The tap room features live music on Friday and Saturday nights. It's a dog-friendly place, but just be sure that your furry friend is leashed. 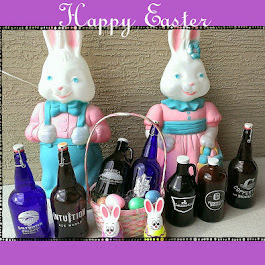 The tap room is closed on Mondays, and opens at 4pm Tuesday-Thursday and 12 noon on Saturday/Sunday. 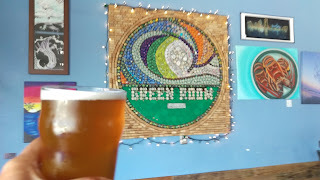 Happy Anniversary to Green Room Brewing!